Canada’s Supreme Court ruled on Thursday in favour of Montreal’s Loyola High School, finding the Quebec government violated the Jesuit institution's Charter-protected freedom of religion. The ruling is good news, agrees Janet Epp Buckingham of Trinity Western University, particularly for her school’s legal fight to open a Christian law school. 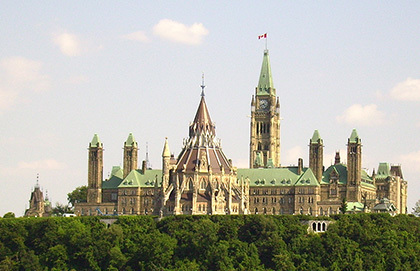 “The Supreme Court of Canada has affirmed the communal aspect of religious practice and that Canada is pluralist and religion is to be affirmed,” Epp Buckingham says. She adds it's worth noting the decision was 7-0 for Loyola, and that a minority of justices disagreed with the majority only because they wanted to go further than their colleagues were prepared to. Still, is it accurate to call this decision a total victory? There are reasons for doubt. The verdict clearly upholds diversity in religious education. And this was exactly the outcome Michael Van Pelt, president of Cardus, hoped for when he became interested in Loyola in 2013. What does it mean to teach about the ethics of other religions in a ‘neutral’ and objective way in the context of a religious school that is permitted to teach its own religion and ethics from a religious perspective? My starting point is that in a religious high school, where students are learning about the precepts of one particular faith throughout their education, it is arguably even more important that they learn, in as objective a way as possible, about other belief systems and the reasons underlying those beliefs. But if the emphasis is on teaching “objectively” and “neutrally,” one imagines a class discussion that revolves around simplistic sharing of differences, without a thorough examination of why those differences exist. Wouldn’t this kind of pedagogy clash with the very concept of academic excellence? The Supreme Court has left the responsibility for seeing how that kind of pedagogy will continue in the hands of Quebec’s minister of education. The space in which this ruling is most decidedly a victory is that of religious freedom. 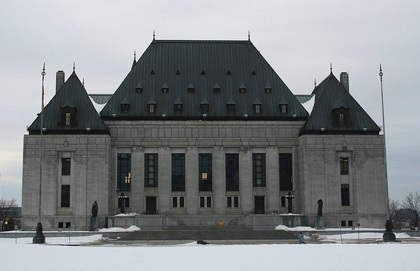 In the 4-3 split, the minority was in considerably stronger support of religious freedom than the majority, explains Eugene Meehan, lawyer at Supreme Advocacy in Ottawa and former Executive Legal Officer to the Supreme Court of Canada. “The minority takes a traditional proportionality analysis and in doing so decides that corporations can enjoy religious freedom,” he says. “If the minority were the majority, that would be better." Epp Buckingham agrees, noting that while both the majority and minority judgments strongly affirmed the collective or communal aspects of religious practice, the minority was much stronger in its assertion that freedom of religion must be a reality not only for individuals, but for organizations as well. In the first place, an account of institutional rights will be one component of a wider account of institutional jural spheres: we need both to contextualize rights in relation to institutions, and also institutional rights in relation to institutional duties and powers. In the second place, an adequate theory of institutional jural spheres requires an account of the moral (or normative) purposes which institutions do and should pursue. It is these purposes, I shall suggest, which give legitimacy and point to the content of the jural spheres institutions possess. And while Justice Abella was clear that the government dictating how Loyola ought to teach its students about Catholicism was a breech of freedom of religion, her views did not extend to the teaching of other religions. Underlying the [state’s] neutrality requirement, and the insulation of religious beliefs and practices from political decision making, is a conception of religious belief or commitment as deeply rooted, as an element of the individual’s identity, rather than simply a choice or judgment that he or she has made. If religion is an aspect of the individual’s identity then when the state treats his or her religious practices or beliefs as less important or less true than the practices of others, or when it marginalizes her or his religious community in some way, it is not simply rejecting the individual’s views and values, it is denying her or his equal worth. Cardinal Thomas Collins, Archbishop of Toronto, celebrates this recognition that to deny a person’s religion is to deny their very identity. “It is a most appropriate occasion to reflect on the reality that freedom of religion and conscience are both enshrined in the Canadian Charter of Rights and Freedoms,” he says. “?It is our prayer that all citizens are afforded these rights in all circumstances." Underlying various aspects of the ruling is what many consider the true crux of the issue: Canada’s obsession with creating a secular society, and the pitfalls that the pursuit of this goal might bring. Justice Abella argues that the brand of secularism Quebec’s education ministry sought to promote actually contradicted the intended outcomes of its own Ethics and Religious Culture program, says Peter Stockland, publisher of Convivium. “As she says, a secular society does not extinguish religion but seeks to protect it as a key element of pluralism," notes Stockland, who covered both the Supreme Court hearing on the Loyola case in March 2014 and this week's judgment. In proper pluralism, there is space for adherents of all religions. “This juridical confirmation from Canada’s highest court that we as a country and as a community can be divine, diverse, and diplomatic—without being didactic, dogmatic, or disruptive," says Meehan. "Godly people no longer feel like—nor be made to feel like—vegetarians working at Burger King." There may be a pervasive feeling among those godly people, however, that this ruling came down to chance, or circumstance, or even a miracle. What about next time? Thursday’s page in our turbulent chapter of Canadian history is absolutely worth celebrating. But as for “total victory”? The battle is won. The peace treaty remains to be signed.